This was another thing that I came up with on a whim. Our refrigerator is lacking at best. With my birthday last week, my mother visiting from out-of-town this weekend, and B and I going away next weekend there is little desire on my part to actually restock our fridge for an extended period of time. Due to time considerations, I threw the quesadilla in the microwave for 2 minutes and then put in a pan for about 1-2 minutes on either side just to make it crispier. This made the tortilla slightly tough and doughy. In the future, I think I would make a few changes. First, I will only use 1 tortilla instead of two. Second, melt the cheese and toast in a pan instead of melting the cheese in the microwave first. Finally, sprinkle some panko on top of the cheese to give it a bit more crunch. Spread the cream cheese across one of the tortillas. 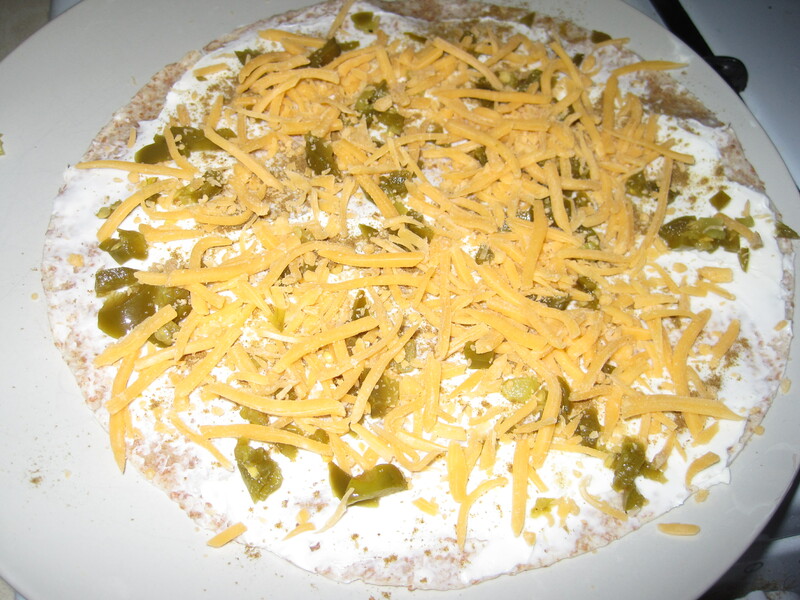 Sprinkle cumin and chopped jalapeno peppers on top of the cream cheese. Spread cheddar cheese on top. Top with the other whole wheat tortilla. Microwave for 1-2 minutes or until cheese is melted. Put in a large, hot pan for about 1-2 minutes on either side to make the tortilla crispy. 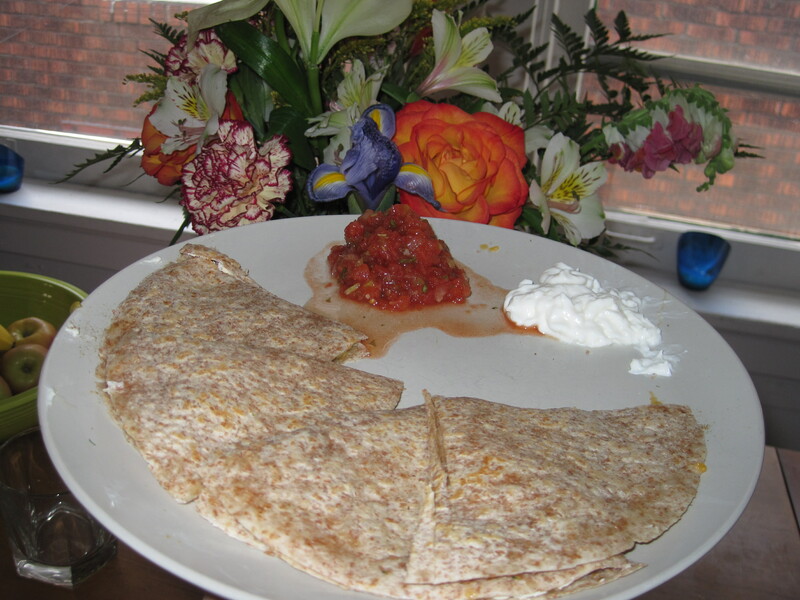 Serve with sour cream and/or salsa.